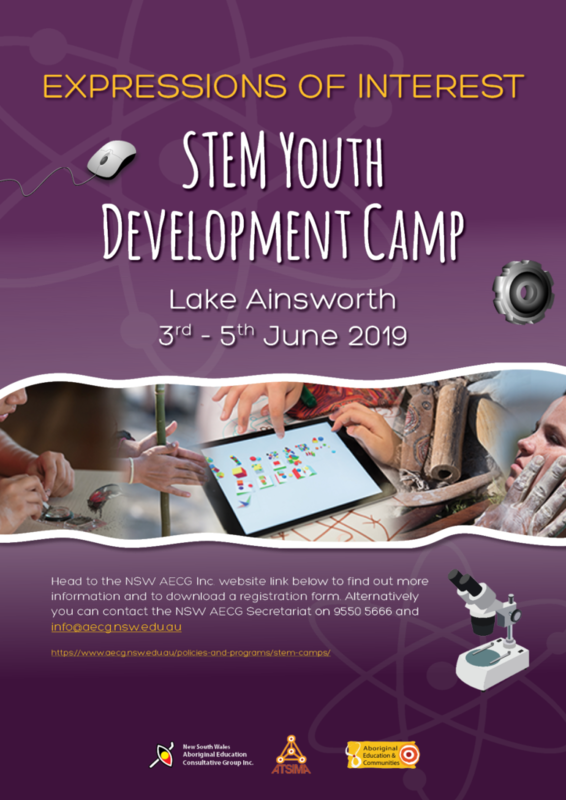 The NSW AECG Inc. have partnered with the Department of Education, Connected Communities and the Aboriginal and Torres Strait Islander Mathematics Alliance to coordinate a Science, Technology, Engineering and Mathematics (STEM) camp for Aboriginal students in regional and remote NSW. The camps are a huge success and has fostered students’ interest in the STEM subjects and for students to engage with industries to see the practical applications of STEM subjects. Check out the video below to hear from the students. For more information please contact the Secretariat on (02) 9550 5666.